Successfully saved Apple Cinnamon Spice Cake with Cream Cheese Frosting to your Calendar. You can also save the ingredients to your Grocery List. Apple Cinnamon Spice Cake with Cream Cheese Frosting – An EASY, one-bowl, no-mixer apple cake that’s to-die-for!! 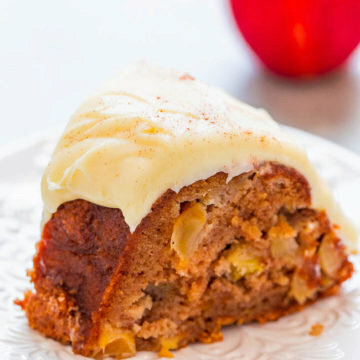 Loaded with juicy apples in every bite, perfectly spiced, and topped with tangy cream cheese frosting! So DELISH! !